The use of Negative Pressure Wound Therapy on the perineal incision following an abdominoperineal resection. Can time to wound healing be reduced? Aims: The aim of this audit was to determine if the use of a NPWT device on the perineal incision site, as prophylactic wound management, reduced the time to wound healing in patients following abdominoperineal resection. Methods: This is a retrospective review of patients who underwent abdominoperineal resections. The medical records of patients who had negative pressure wound therapy applied to the perineal wound were assessed and compared to patients who had standard dressings applied in the postoperative periods. Results: There were no differences in BMI, comorbidities, adjuvant therapy in those who did or did not have NPWT applied. Preliminary results show that healing time in the patients who had the NPWT applied had an average healing time of 25.25 days, compared to those with a standard dressing, average healing time of 82.71 days (p=0.118). Conclusion: Our early data show no significant difference in the time to healing with and without NPWT. These data are limited by the small number and should be interpreted with caution. Further data will be collected and the results will be updated. Trish Doherty is a Clinical Nurse Specialist in stomal therapy, continence and wound care with extensive experience in a large tertiary teaching hospital as well as a smaller but busy colorectal surgical hospital in Sydney. Her current role involves working closely with a team of colorectal surgeons in their rooms and also in the hospital. This unique situation allows for continuity of care for colorectal / stoma patients from diagnosis to community follow-up. 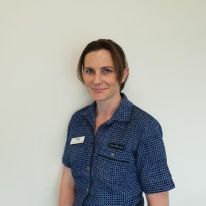 Trish also works one day per week in the anorectal physiology laboratory which has given her knowledge in the management of functional bowel disorders, antegrade colonic irrigation and sacral nerve neuromodulation. Trish has an enormous passion for stomal therapy, wound and continence care and is keen to develop her research skills in these areas.